Leïla is an Avocat at the Paris bar. She specializes in shipping, international trade and commodities, and insurance. Her experience includes the handling of cargo claims, charterparty disputes, pollution litigation, shipyards’ liability cases, arrests and auctioning of vessels, road carriage, CMR, freight forwarding and the defence of personal injury claims. She is also actively involved in arbitration and has expertise in advising, negotiating and/or drafting contractual documents such as oil supply public tenders, general conditions of sale for cruise companies, contracts of carriage, or pilotage and towage terms. In the 2017 Edition of Legal 500 (Top tier of shipping law firms), Leila is recommended for her experience and as having “a very professional and proactive approach”. Leïla teaches the handling of cargo claims and recourses, as well as French procedural law to insurers and insurance brokers at the Institut de Formation de la Profession de l’Assurance (IFPASS). 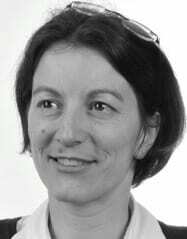 She is also a lecturer on Anglo-French translations in insurance, maritime and road carriage law at the University of Paris VII. Leïla is a member of WISTA (Women’s International Shipping and Trading Association) and of the Association Française de Droit Maritime (AFDM). She is bilingual in French and English and also masters the Spanish language.